I’ve just read a Dr. Seuss story to my 5 year old. Tomorrow morning, she’ll be 6. I’ve read so my Dr. Seuss stories to my kids over the last 20 years, I probably know them all off by heart. It’s the last time I’ll read a good night story to a 5 year old daughter or son of mine. I wonder when it is that I stop reading good night stories to them. There’s no memory from the other 4 of a ‘last time’. I’ll make the most of that special window of time every day whilst I still can. 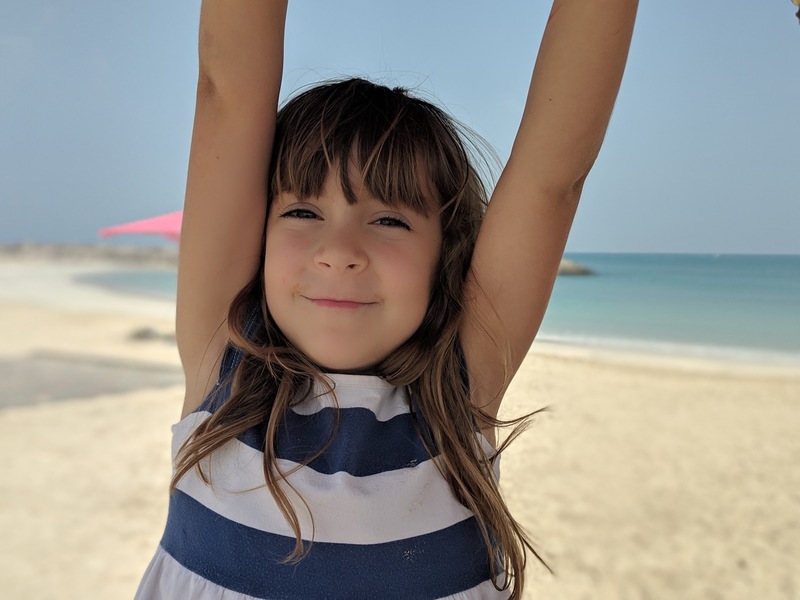 She (and Eirene and I – Sophie was at rehearsals for a school play she’s in) just spent the at a lovely beach park in Dubai. Swimming, lilos, playing and eating ice cream. What a lovely little life she’s got. What a lovely little life we’ve all got. Blessed. We’re gearing up for a party for her (and a bunch of her school friends) here next weekend. Fun times! Carnage ahoy.